Chipsi Corn Granules are made out of corn cobs. See below for the best deal on Chipsi Corn Cob Granule Litter. Big Savings on Chipsi Corn Cob Granule Litter! Chipsi Corn Granules are made out of corn cobs. This natural product is decidedly heavier than normal wood chips or other granule products. That way it doesnt stick to your pets fur and paws and doesnt get tracked outside the cage. The natural corn product has its own character and scent that is pleasant to pets. Chipsi Products are made from carefully selected raw plant products. They go through a tight inspection to make sure that quality and environmental friendliness are combined. Chipsi Corn Granules are made out of corn cobs. This natural product is decidedly heavier than norma.. 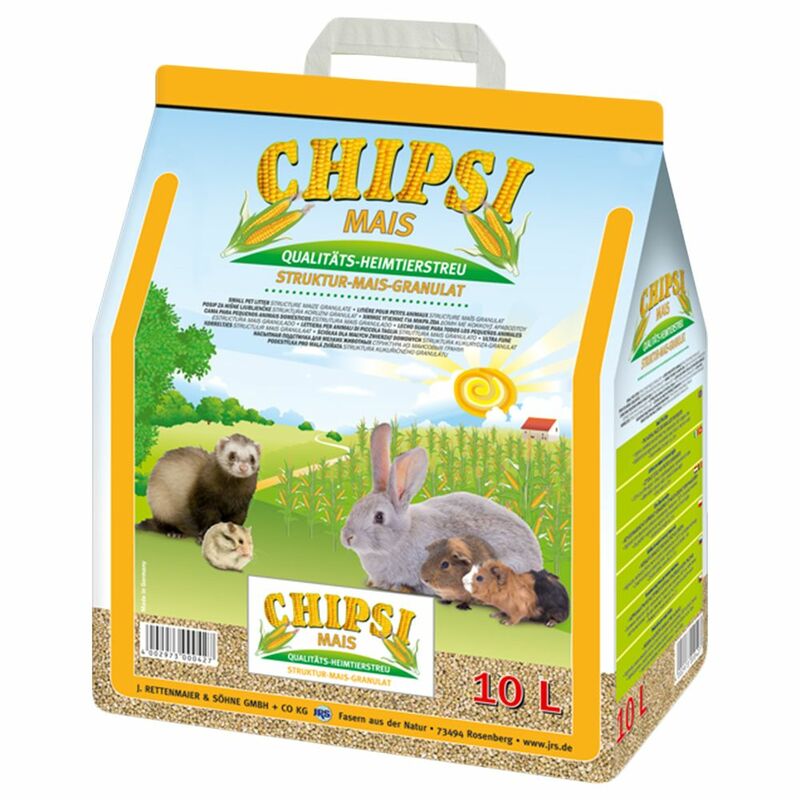 The Best Deals online for Chipsi Corn Cob Granule Litter and your essential Pet Supply Products. Order over £29 and get FREE DELIVERY on all orders today. Most orders are processed and dispatched within 24 hours from this supplier (zooplus) and their delivery service partners provide online parcel tracking facilities, active from 2-3 days after dispatch of your Chipsi Corn Cob Granule Litter order. The suplier 'zooplus' offers International shipping to the countries listed in the table below for shipping on Chipsi Corn Cob Granule Litter. Chipsi Corn Cob Granule Litter requires a £2.99 Delivery Fee from the supplier for deliveries within Great Britain. Orders over £29 qualify for Free Delivery. This can be checked using shipping calculator to your post code on the suppliers web site when purchasing.